I will be 61 this Summer and looking forward to meet new people. I have been workamping since 1998 and enjoy the variety of positions that I worked in. Being a solo RVer makes it a more of competition to locate employment; and I have managed to show on my resume the qualities that employer seek. Champlain Valley and Adirondacks Mtns. of New York State; The Great state of Kentucky; Arizona and New Mexico. 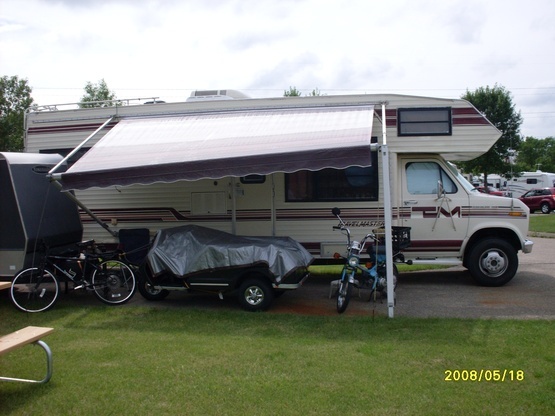 1988 TravelMaster 27' Cl-C and tow a 5'X8' enclose trailer which houses my Lil Honda 49cc noped motorbike and supplies.